D’Army Bailey got booted from one university for leading civil rights protests. And then Clark came calling. D’Army Bailey at the National Civil Rights Museum, Memphis, on the site where Dr. Martin Luther King was assassinated. D’Army Bailey was not born with an apostrophe in his name. That came later. In the summer between eleventh and twelfth grades, he decided the way most folks pronounced his birth name of “Darmy” was too pedestrian — Didn’t they realize there was supposed to be a slight pause between the “D” and the “A”? — and that the collection of letters by which he’d be known throughout his life needed something to distinguish itself. So he adopted the apostrophe. The civil rights movement found him at Southern University in Louisiana, the largest all-black university in the country, where he discovered a streak of discontent among his fellow students that turned him from dispassionate observer to hesitant participant, and finally to a key leader of protests that spilled off the campus and onto the streets of Baton Rouge. 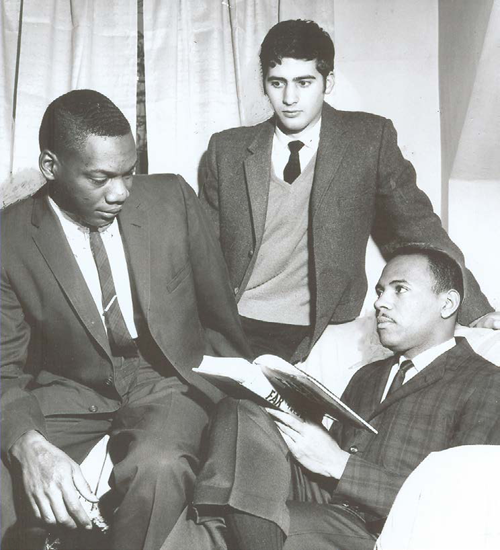 The civil rights movement followed Bailey two years later to Clark University, where students raised scholarship money to bring him to campus after he was expelled from Southern for his inability to adjust, a gentle euphemism for “making trouble.” In Worcester, Clark’s newest undergraduate, class of ’65, found a different kind of racism — less overtly hostile, quietly institutional, but no less insidious. He took to the streets there, too, enlisting University students to protest the hiring practices of some of the city’s best-known companies while forging connections with everyone from Malcolm X to Abbie Hoffman. The civil rights movement ensured that D’Army Bailey would make a permanent impression no matter how his name was spelled. In retrospect, inserting that apostrophe was simply the first subversive act of many. It’s post-ceremony on Commencement Day 2010, and D’Army Bailey is a couple of hours removed from receiving an honorary degree from President John Bassett. He strides across the quad toward a waiting photographer, his charcoal-gray pinstriped jacket slung casually over his shoulder, revealing a blazing white shirt with a pink-patterned tie — his ensemble is surprisingly unwrinkled and crisply creased, despite the steamy temperatures. The crowd has dissolved into small groups of family and friends trading hugs, but mothers and grandfathers and uncles peel away to stop the distinguished man who passes by. They offer their congratulations for the honor he’s just received and for the life he’s led. He treats each interruption with grace, thanking each well-wisher with a handshake and a wide smile. 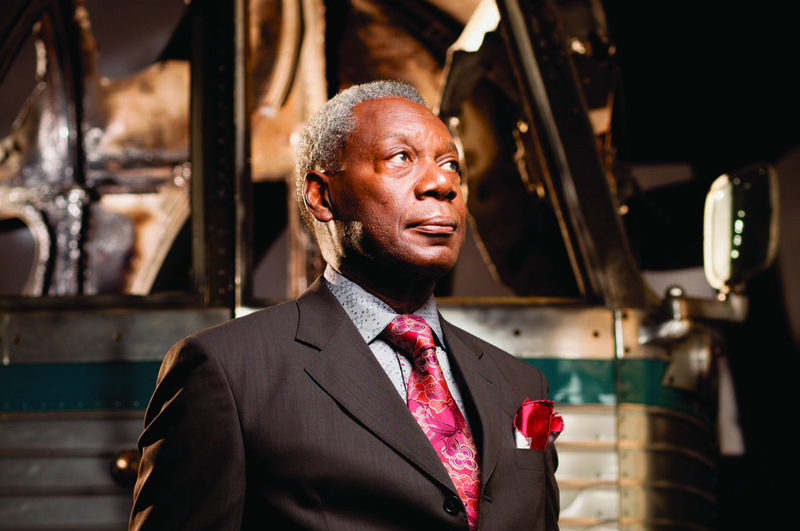 When he embarked on his college career in the fall of 1959, Bailey carried nothing more than a suitcase, a box of his mother’s fried chicken, and a stern warning from his parents not to get off the train in any of the small towns along the route from his hometown of Memphis to Southern University. “There’s no sense looking for trouble,” his mother cautioned. Bailey brought James Meredith (r.), the first African-American student to attend the University of Mississippi, to speak at Clark in 1964. Bailey kept himself informed about the racial struggles occurring throughout the South by sitting in the local pharmacy and reading black newspapers and magazines, which taught him about Emmett Till, the black teenager who was lynched for whistling at a white woman. On the small black-and-white television in his house he watched the reports detailing the court-ordered integration of Central High School in 1957, the National Guard escorting nine African-American children through the angry taunting mobs to reach the doorway. His father, a huge baseball fan, had brought D’Army and his brother Walter to St. Louis to see the Dodgers’ Jackie Robinson and Roy Campanella play against the Cardinals. African-Americans also were making inroads in other sports like boxing. Young D’Army was no athlete, but he was a gifted wordsmith who wrote a column for his high school and college newspapers. At Southern, Bailey was studious and resolute about getting himself a good education. He was elected president of his freshman class, wrote his column, played ping-pong in the student union and flirted with pretty girls. Life was good. Then, on February 8, 1960, four black college students sat down at the whites-only lunch counter of a Woolworth’s store in Greensboro, N.C., where they refused to leave after they were denied service. This action of quiet rebellion ignited similar student movements across the country, including in Baton Rouge, just beyond the gates of Southern University. Bailey traces his personal evolution from student to student-activist to a time when he saw his campus leave behind its reputation as “a safe, paternal plantation.” It had become a place where the students decried not just racial injustice, but also their betrayal by the school administration who, under pressure from the state of Louisiana, brought police onto campus and expelled protest leaders — anything to quell Southern’s increasingly stormy seas. So Bailey agitated — at sit-ins and rallies, and in meetings with stubborn school administrators. On Dec. 15, 1961, he helped lead 2,000 students to the Baton Rouge jail to protest the arrests of Southern students at downtown whites-only lunch counters. They were greeted by the city’s police force, armed with tear gas canisters and snarling German shepherds straining at their leashes. “We shall overcome. I fought an overwhelming desire to hit them, slap them, or scream them into realizing we were all the same. We shall overcome. I fought a deep, gut-wrenching need to run. Deep in my heart… I breathed deeply. I do believe… We will stand peacefully. We will stand here peacefully until they let us go forward. Some of the students were arrested during the melee, and were later expelled by Southern University President Felton G. Clark. An enraged Bailey and other student leaders organized a boycott of classes that forced the school to shut its doors ahead of the scheduled Christmas break. When he returned after the holidays, Bailey was summoned to the dean of students’ office. He was handed a letter informing him he’d been expelled under a vague statute that was normally cited for the expulsion of homosexuals, but which in its three simple words gave the administration vast discretion: Failure to adjust. Bailey is accustomed to having his photo taken. His posture, his facial expressions, his lack of inhibition in the middle of a crowd all speak to an instinctual comfort around a camera. When asked to pass through Clark’s gates during a photo session and pose on Main Street, he does so gladly, leaning casually on an iron railing as hip-hop music booms from passing cars. He tells the story about the time he played a judge in the film “The People vs. Larry Flynt,” one of several acting roles on his résumé. Director Milos Forman had advised Bailey to conduct the courtroom just as he would in real life. So when actor Woody Harrelson, playing the eccentric pornographer, was wheeled onto the set wearing a football helmet, Bailey objected. Bailey’s personal situation was hardly unique. In 1962, hundreds of student leaders were being expelled from southern black colleges at the urging of white legislators intent on squashing the protests. At Clark University, a group of sympathetic students launched a scholarship fund campaign, holding car washes, bake sales and other benefit events to raise $2,500 — with a matching sum from Clark — to bring one of these ousted students to campus. Initially, a student from Jackson State University was offered the scholarship, but he opted to join the military and recommended that his friend D’Army instead be the beneficiary. When he learned of the offer, Bailey was unsure how to respond. The Northeast was like a foreign country to the life-long southerner, and he couldn’t even pronounce the name of the city he’d be heading to (“I thought it was ‘Wor-kester,’ he laughs). Clark University was an even bigger mystery. He’d never heard of it. Despite his reservations, he filled out the required paperwork and sent it off. Within days, the exiled D’Army Bailey was officially a Clarkie. Bailey was happy to answer the questions, but he grew impatient. He felt the students’ compassion veered perilously toward condescension. “They wanted to hear about all the bigots in the South so they could congratulate themselves on being different,” he says. Yes, the events occurring in the South were important, but what of the racism in Clark’s own back yard of Worcester? Bailey looked around his new city and saw old ways: blacks were largely relegated to service jobs and manual labor; few were elevated to management positions. Bailey knew that for Clark students to really appreciate the churn of the civil rights movement, they could no longer take notes on the sidelines. They had to join the fray. He formed the Worcester Student Movement and brought James Meredith and Malcolm X onto the Clark campus to speak. He led student pickets of two venerable Worcester companies — Denholm & McKay, the city’s oldest department store, and Wyman-Gordon Company, a manufacturing giant and defense contractor — to demand that they hire and promote more blacks to managerial positions. When the owner of Wyman-Gordon spoke at a Worcester Area Council of Churches gathering, they picketed that, too. Among those joining the Clark contingent was Abbie Hoffman, whose anti-government activism with the Yippie movement of the late ‘60s — not to mention his wild mane of hair, his American flag shirt, and an aggressive media savvy — would turn him into a counter-culture icon. The photo shoot completed, Bailey makes his way back across campus to John Bassett’s house, where his family is waiting. The subject of his FBI file is brought up, and it’s clearly a topic he relishes. The file was launched during his freshman year at Southern and was added to during his time at Clark and right up through 1973 after he’d gone on to a law career. He learned of the file’s existence a couple of years later from his nephew who worked in Washington, D.C.
“I wrote to the FBI under the Freedom of Information Act in about 1976 or ’77; it took a year to get the file. There were two volumes, each over an inch thick. … They actually began an investigation on me when Lyndon Johnson came to Worcester to speak. I did a radio interview with Huey Newton and the entire transcript was in my files. Even after graduating from Clark, D’Army Bailey never stopped agitating. He earned his law degree at Yale, practiced law in San Francisco and was elected to the City Council in 1971. He was later recalled in a special election after pushing hard — too hard, his detractors argued — for affirmative action policies because of the low level of employment for blacks in Berkeley. Bailey returned to Memphis to practice law and eventually served 19 years as an elected judge on the Tennessee trial court bench. For nine years he spearheaded the successful effort to transform the Lorraine Motel in Memphis — the site of Dr. Martin Luther King’s assassination — into the National Civil Rights Museum. He now practices law in Memphis for Wilkes and McHugh, a private firm that specializes in civil ligation against nursing homes accused of negligent care. Ending his career on the bench, he says, wasn’t an option. To this day he’ll gladly answer to any of the labels he was tagged with during the years he fought for racial justice all the way from Baton Rouge to Worcester. Radical. Subversive. Rabble-rouser. They all fit. D’Army is just fine, too, so long as it’s pronounced correctly. Editor’s note: D’Army Bailey passed away on July 12, 2015. 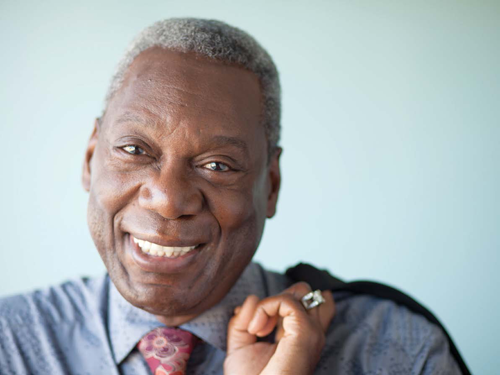 Clark University created the D’Army Bailey ’65 Diversity Fund in his honor in 2017, to support initiatives and academic endeavors that advance and help sustain an inclusive, engaged campus.